Our websites are built on a continually evolving framework giving you all that you need from your estate agency website. We make beautiful websites that are uncluttered and user friendly. It's sure to impress your clients and make you feel proud! 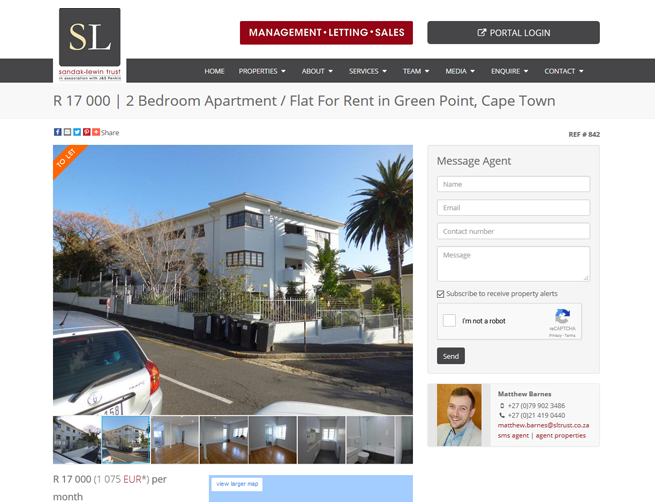 It's all about the properties - we make sure they look good on your website. Password protected, https encrypted secure console from which you manage your website and properties. Option to have logins for each staff member. 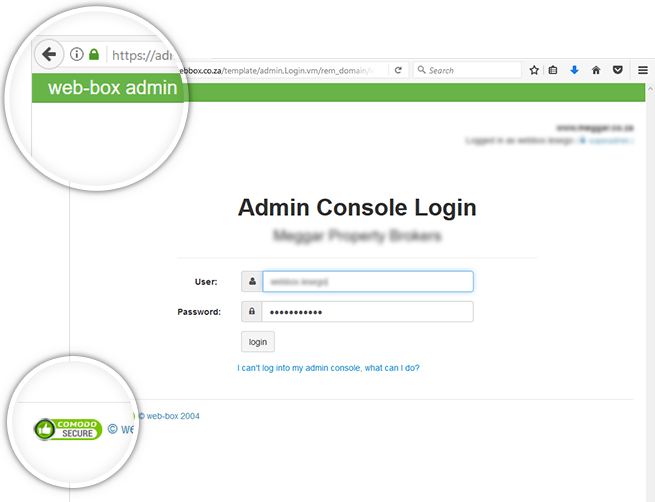 Our admin console is powerful and easy to use. If you need any help we are just a phone call away - we pride ourselves on our high levels of support. 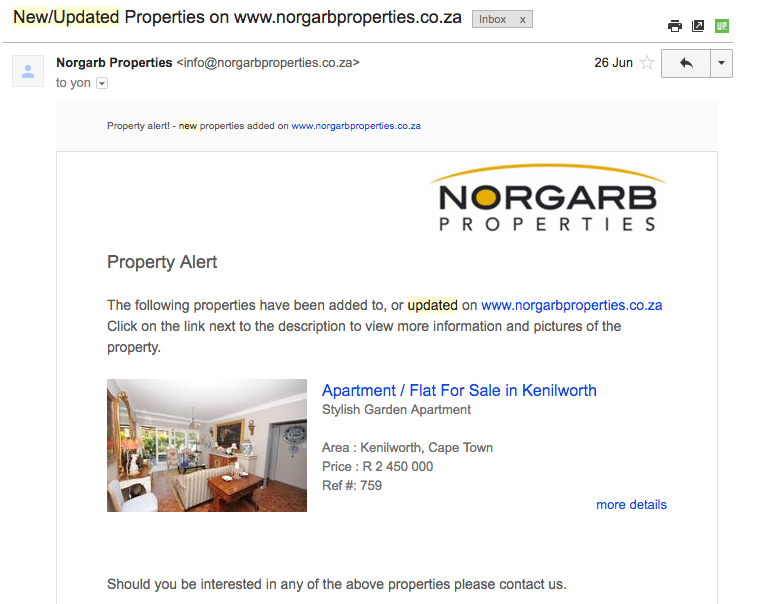 After uploading a property an email will go to all your buyers. 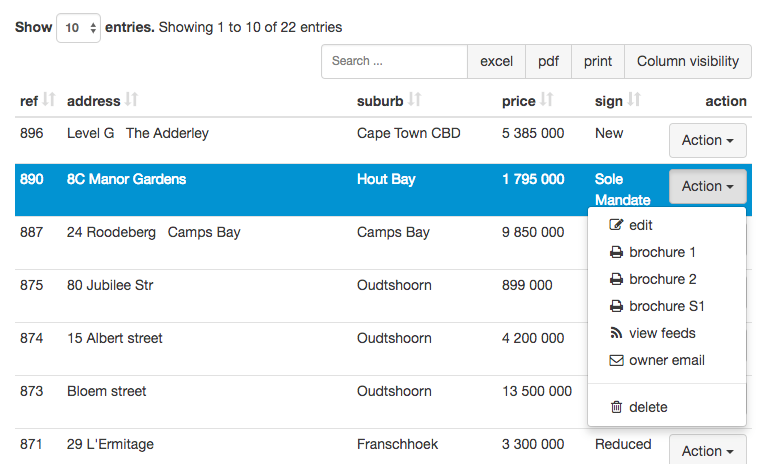 Buyers can sign themselves up on your website or you can collect and add them. 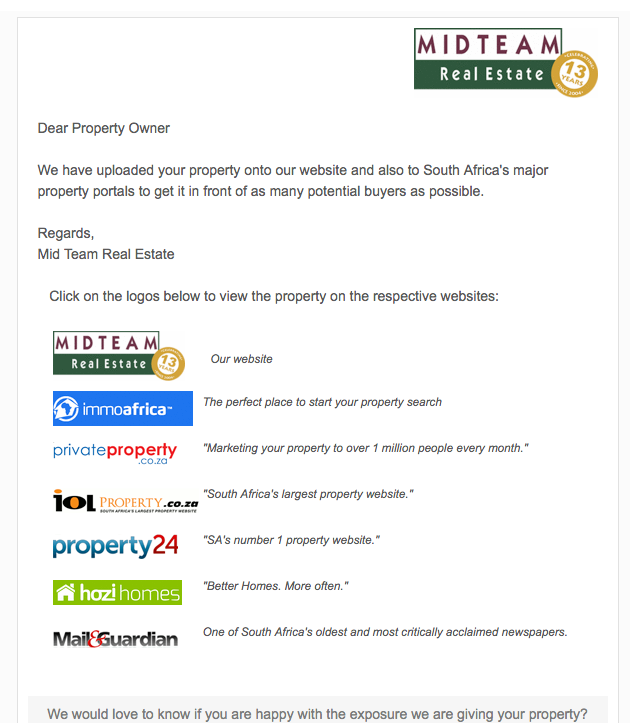 Buyers can specify property types and price ranges they are interested in and can unsubscribe themselves. 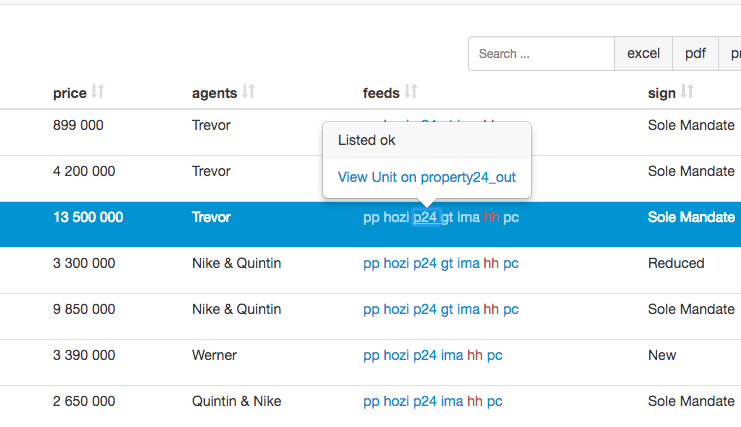 Via the admin console you can easily see which portals the property is on, any errors and also click directly to the property on the portal. 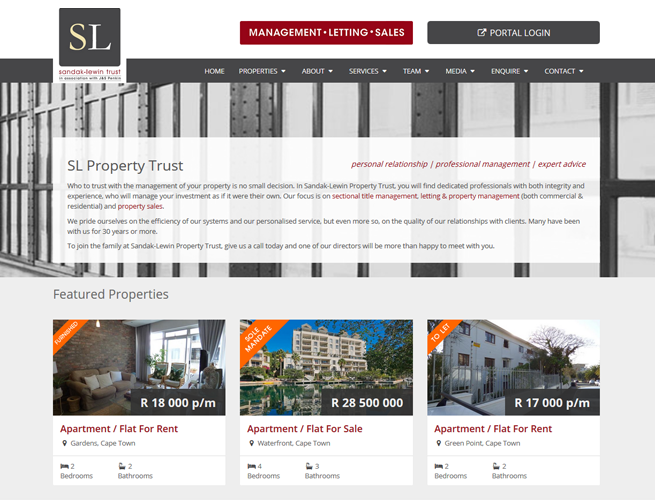 All our admin consoles are responsive, enabling easy managing of properties from a cell phone. There is the option of having the whole website responsive. Easily print professional looking brochures from admin console. 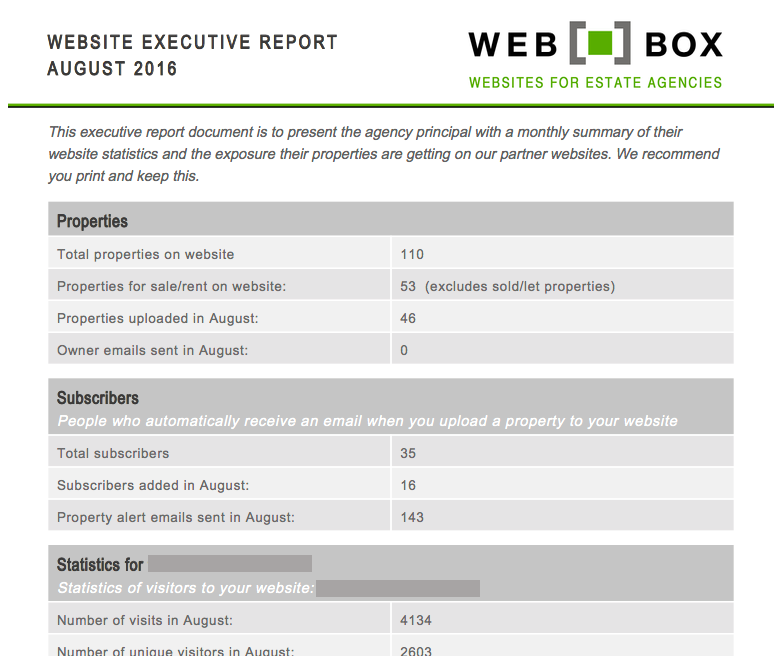 Monthly high level reports on how the website is doing are emailed to the principal. 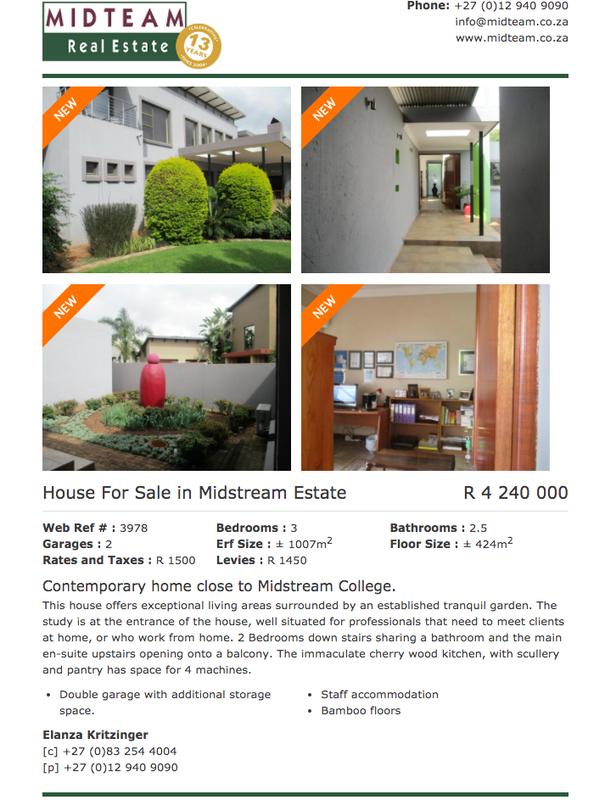 A professional looking email with links to the property on all the portals can be sent to seller. We know this impresses them. 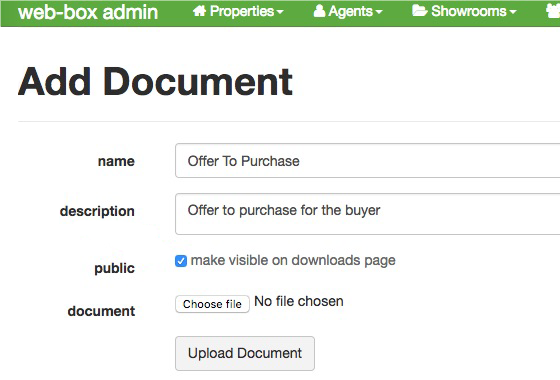 Store and share documents privately to just your agents or publicly to all your website visitors. Saves you time and makes these easily accessible from any where 24x7.